The Trackpad is unusable on my Thinkpad Yoga 260. When I try to use it it doesn't respond most of the time. Strangly though when I use the very tip of my finger it does work. To me that sounds like the palm rejection is too harsh. Also the scrolling gesture doesn't work if I place my fingers vertically. It does work if I place them horizontally). The Trackpad is from Elantech. I tried changing the driver settings, re-installing it and nothing helped. The problem with the Trackpoint is that when I try to scroll vertically using the middle button the scrolling symbol often first shows up horizontally and I need to press the trackpoint hard to get it to scroll. This all on Windows 10. I am thinking that this is all a driver issue because I tried out Ubuntu and there it works without problems also uninstalling the driver gets the Touchpad to work but the gestures don't work then. But if this is a driver issue shouldn't everyone have this problem? It can be interesting to know the version of the driver you have installed (It can be checked on Windows Device Manager). I don't have the ELAN Trackpoint, but something I always do is to set the Trackpoint sensibility to the lowest so the cursor moves faster with less force. I even reset Windows 10 and installed the driver again but the problem persists. Am I really the only person with this problem? Can it be a hardware issue? But then why does it work when the driver is deinstalled? Did you already went to "Control Panel - Mouse" and played with the Elan trackpad/Trackpoint settings there ? I had been checking some other forums thread about the Yoga 260 and trackpad issues. There was reported an issue that the Trackpad of the Yoga 260 becamed un-responsive and the solution was to update an Intel driver. I hope this help. I run out of ideas, if it does not work, maybe it is time to open up a ticket with Lenovo for your hardware to be checked. My previous response appears to have been deleted. Hoping this one will be allowed to remain. I am dealing with the same issues with the touchpad and trackpoint. sometimes i can get the lower right corner of the touchpad to work, sometimes it doesnt work at all. it is unbelievably annoying. i have tried everything as well to fix this, but still nothing. Do you have the Thinkpad Yoga 15 ? 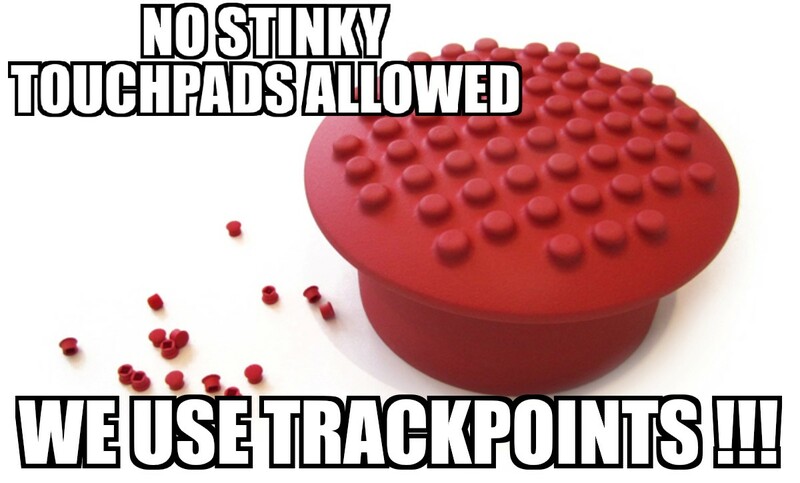 Check the trackpoint drivers on it's support webpage. If you are using Windows 10 I also recommend getting Lenovo Vantage to see which drivers can be updated.